Mi Home Security Camera 360° review: Packed with features for a price of Rs 2,699. In India, Xiaomi’s Redmi and Mi smartphones tend to hog the limelight, but back home in China, the company is known for a wide-range of products, including smart home devices. In India too, Xiaomi has been expanding the presence of the brand, and we now have Mi Home Security camera, Mi LED TVs, Mi Air Purifiers, and other products being sold in the country. 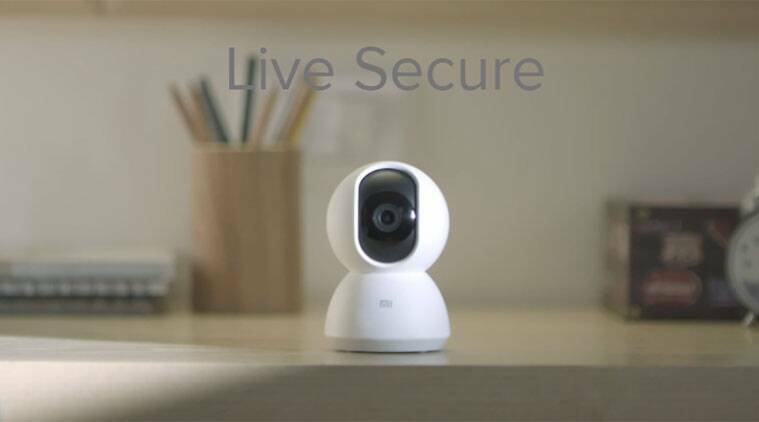 The Mi Home Security Camera 360 is one such device that Xiaomi has introduced in India for a price of Rs 2,699‎. The camera is capable of recording footage at up to 1080p or Full HD resolution, has a slot for a microSD card, and is capable of motion detection. The camera can also record video in the dark with the Infrared Night vision. It also has a Talkback feature thanks to 2-way audio. When it comes to home security cameras, there’s always the question do you need these, and do they really solve a problem? To answer the second part, CCTV cameras, definitely do not deter petty crime. I have seen in my own locality and house how thieves have broken in twice and stolen bicycles, despite there being CCTV cameras in the house and in other homes. It is also unnerving how sometimes these thieves will just stare straight in the camera and walk off with what they came to steal. All you are left with is footage of the thief, and unless the police takes some action not much is going to happen. So then are CCTV cameras really needed inside the house? Despite the very obvious lack of deterrence, there are some advantages to having such devices inside a house. They do help home-owners at least keep a track of what is going on, and can alert should someone break in. With the Mi Home Security Camera 360 the number of features and simplicity of using this is what works in its favour. The Mi Home Security Camera 360° has a continuous footage playing on my phone, whenever the device is online or switched on, which I found very useful. Once both the camera and your phone are connected via the Mi Home app, you can control it from anywhere, which many urban users will find useful. Other CCTV cameras in the market also offer apps and the ability to see footage, but its not as simple and fluid as the Mi camera. With the Mi Home Security Camera 360 the number of features and simplicity of using this is what works in its favour. The Mi Camera’s motion detection feature is useful and accurate. I found myself relying on this when I was alone at home during the night. I had the camera in the drawing room with motion detection and alerts on, which was a good way of keeping an eye on the main entrance in case there was any cause for alarm. The camera also helps when you are out of the house, as we were traveling for Diwali. I could check-in once in a while to see if anyone else was coming in, other than my help. The camera’s 360-degree motion meant I could move it around from the app, while on holiday and see all that was within the scope of the camera. Another useful feature in the camera is that when motion detection is on, it will send alerts on the app. A small clip of that instance is sent as a message and you can see it to check if all is okay. Many users will find the camera is a good one to install in bedrooms, if they are going away for a vacation. It is one of the simplest way of checking in and keep tabs that nobody is breaking in while you are away. The audio call feature also works accurately on the Mi Security Home camera. For those with pets alone at home, you can perhaps try calling them. However, it’s not something I am too keen on trying. Pets, especially dogs can get disconcerted when a camera suddenly starts shouting their name, and might get more confused and upset. I had some issues with the camera as well. The first one with Mi Security camera was setting it up, when it would not connect to the WiFi. I was told connecting to the Asia server would fix the problem, which it did. Another issue that I faced was with the motion detection. When I first set up the camera, it did not detect the motion, even though I walked by two or three times within range of the camera. I did not get alerts from the app capturing this movement, which I thought was odd. But after that first initial hiccup, the camera was regular in sending notifications for motion detection. Mi Home Security Camera 360° review: Should you get? 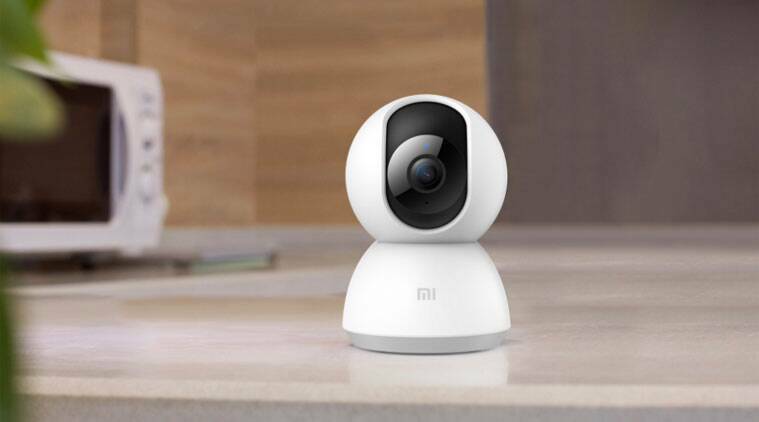 If you are someone who stays away from home for long hours or travel far too often, the Mi Home Security Camera 360° can be a useful device in helping you keep tabs on what’s going on at home. Especially, if you have some valuables at home, a camera inside the home can be deterrence as well, though it might not always work. The Mi Home Security camera does what it claims, and thanks to the simple user interface makes it easy to set up and use, which many customers will appreciate.